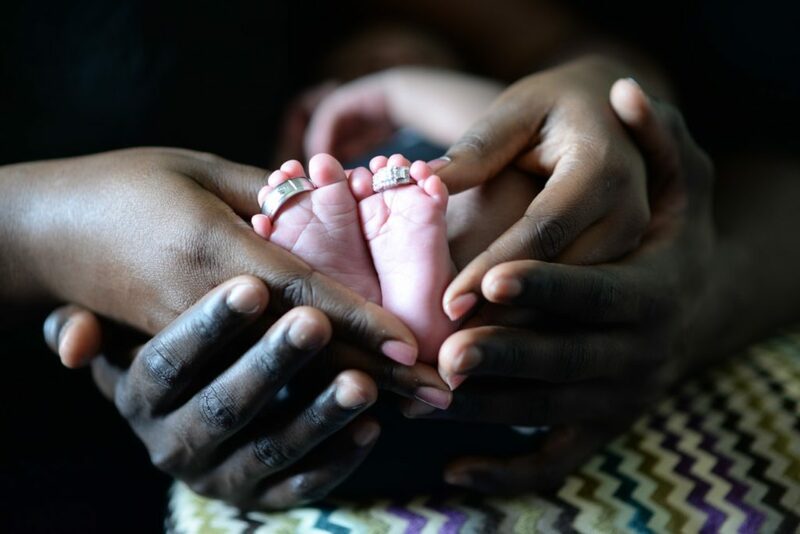 The blessing of a parent is so powerful that the longing for such deep in the inner man never goes away for many people who have never been blessed. One of the most powerful examples of the deep need for a parent’s blessing was shared with me by a close friend whose father carried this longing for blessing from his father all of his adult life. Let me share with you below this amazing account of how the Lord orchestrated an event to meet this deep need in the heart of an adult son. Pablo was deeply saddened as he received the news from his father that his mother, who had been separated from his father for nine months, was not willing to return to the marriage and was now seeking a divorce. As Pablo pondered what he might do or pray to help his parents, a very strange thought came to him. He had recently experienced a powerful change in the life of his twenty-one-year-old son, who had been quite directionless and indecisive. This son could not decide if he wanted to enroll in Bible School, University, or get a job. Consequently, he was sitting at home doing nothing. Pablo told me that when he looked into the eyes of his twenty-one-year-old son, he saw a scared little boy, who didn’t know what to do and was afraid to make a decision. About that time, Pablo and his wife attended an Ancient Paths Experience, and realized that the probable reason that their son was directionless was that he had never been blessed by his father, and consequently was still spiritually, and emotionally tied to his mother as a little boy. These parents then arranged a blessing ceremony for their son, which turned out to be life-changing for him. Pablo told me that immediately after the ceremony, when he looked into his son’s eyes, for the first time, he saw looking back at him a confident, twenty-one-year-old man, not a scared little boy. The spiritual and emotional umbilical cord had literally been cut with his mother, and shortly after that Pablo’s son enrolled in University and began to pursue a course of study toward a career into which he was certain God had called him. Now upon receiving news of his parents’ impending divorce, the strange thought that now came to Pablo was the remembrance of recently looking into his sixty-four-year-old father’s eyes and seeing the same “scared little boy look” that he had seen in his twenty-one-year-old son before he had conducted the blessing ceremony for him. He now realized that his father, Luis, had never been blessed by his father and was still, at age sixty-four, emotionally tied as a little boy to his mother. The reason that Luis had struggled in relationship with his wife all of their married life was that he had never emotionally “left father and mother” so he could properly “cleave to his wife. (“For this cause shall a man leave father and mother and cleave to his wife, and the two shall become one flesh” Genesis 2:24). Armed with this understanding, Pablo placed a telephone call to his 87-year-old grandfather, who was still alive, living in the country of their family’s origin. Grandpa was quite shocked as Pablo tried to explain to him his request to come impart his blessing to his son, Luis, and release him to be a man in a Bar Barakah (Christian Bar Mitzvah) ceremony to be held on Luis’s 65th birthday. Grandpa exclaimed, “You want me to do what? My son is having his 65th birthday celebration. If he is not a man yet, he never will be.” However, Pablo was insistent and Grandpa finally agreed to come. Upon arrival, Pablo was able to explain to his Grandpa the key of blessing that he held in his hand as a father, and that Luis was still emotionally bound to his mother as a little boy, with the cry of Esau, Bless me – me also, O my father, still in his heart at age 65. Grandpa still didn’t entirely understand, but did agree that he would attempt to pray over and bless his son Luis on his 65th birthday. Then Grandpa asked, “Son, do you remember when you were 15 years old?” As his father asked this question, Luis’s eyes squinted as a huge surge of emotional pain began to be released. Yes, Luis remembered when he was 15 years old. What no one else knew was that at that time, Luis and his father had engaged in a huge argument that even became physical. Luis’s father had become enraged at him that day, and had screamed at him horrible things, told him that he was worthless, and physically threw him out of the house. He told him he hated him and hoped he would never see this worthless son again. Luis, of course, had become equally angry, had said horrible things to his father and also told him he hated him and never would see him again. He left the house in rebellion at age 15 to begin his adult life. Obviously, this was not the blessing his heart was looking for to release him into his adult identity. Since that time, Luis and his father had reconciled their relationship, but had never spoken of this event. As his father now brought it up fifty years later, it immediately stirred to the surface fifty years of bitterness, hatred, resentment, and anger that had been in Luis’s heart since that day. Years ago, he had voiced the words, “I forgive my father,” but his heart had never released the pain and he had neither truly forgiven his father from his heart nor repented of the bitterness, dishonor, or rebellion that had been in his heart toward his father. Now fifty years later, as his father lanced the infectious wound in his son’s heart, a deep, deep anguished cry escaped from the heart of his son as he burst into profuse sobbing. Luis fell forward and buried his face in his father’s breast, his father also sobbing profusely. When Grandpa’s sobs had subsided enough to speak, he then whispered to Luis, “Son, I’m so sorry. I was wrong that day. Please forgive me. I got angry, said things I didn’t mean, and cursed you rather than blessing you. Please forgive me. I love you!” These words only intensified the sobbing of the son. Pablo then related that something supernatural had happened in the heart of his father, Luis, through the blessing of his father. Immediately after this experience and ceremony of blessing, Pablo told me that later that day, when he looked into his father’s eyes, for the first time in his life, he saw a bold, confident 65-year-old man who was at peace inside, rather than the scared, angry little boy. 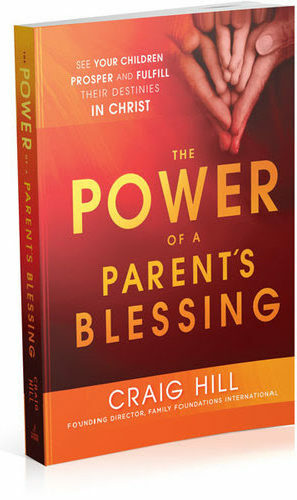 We see in the example above the power of a parent’s blessing. Without realizing it, Luis had been waiting all his adult life to receive his father’s blessing. This lack of blessing had negatively impacted his marriage, and sense of personal value and purpose. Two primary reasons that Luis’s father never blessed him are the same two reasons that many of us today don’t bless tour sons and daughters. The first reason is lack of knowledge. No one ever taught us the power of blessing that we hold in our hand to either release or hinder our children in future prosperity.